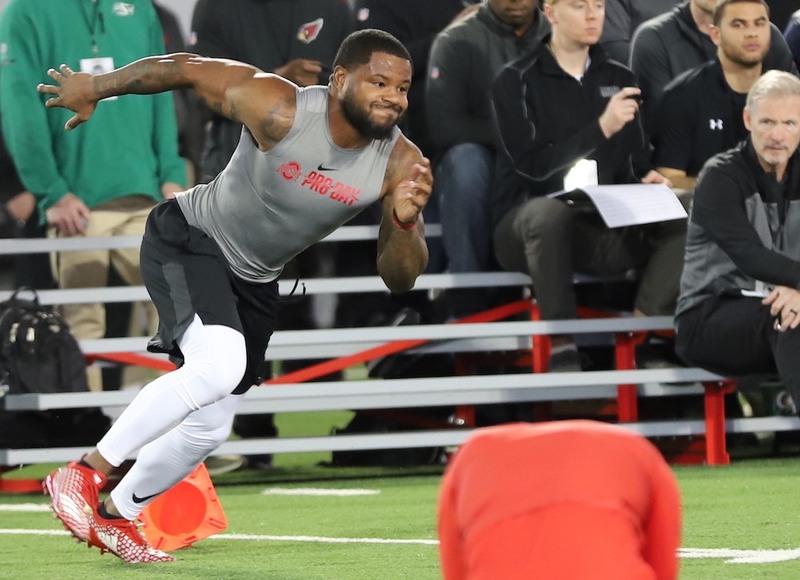 Former Buckeye football players preparing for the NFL Draft went through the 2019 Ohio State football Pro Day workout on Wednesday. All 32 NFL teams had a representative at the Woody Hayes Athletic Center to watch the action. Unsurprisingly, quarterback Dwayne Haskins drew a lot of attention. He’s projected as a possible top-5 pick in next month’s draft. But other Buckeyes, including wide receivers Terry McLaurin and Johnnie Dixon may have done a lot to boost their draft stock with strong performances as well. 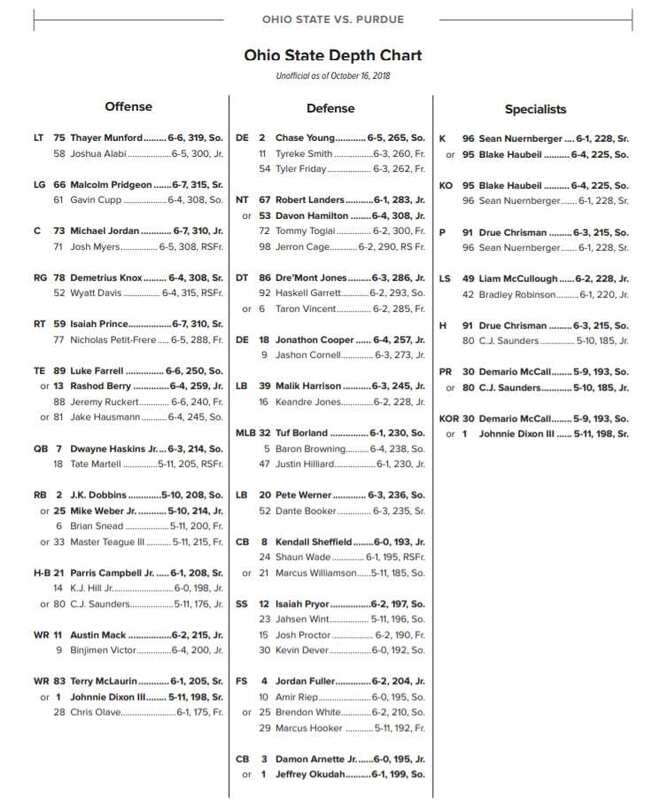 Only one OSU player ran the 40-yard dash, but many others participated in other drills. You can check out all of the action in our 2019 Ohio State Football Pro Day photo gallery here.